The Formosa Side Chair brings a hint of luxury to a modern or traditional setting's décor. This soft, elegant side chair features a leatherette over foam seat and back that provide unrivaled comfort. It also includes a brushed stainless steel base that guarantees you will be fully supported at all times. Add a first-rate side chair that is sure to impress thanks to the Formosa Side Chair. 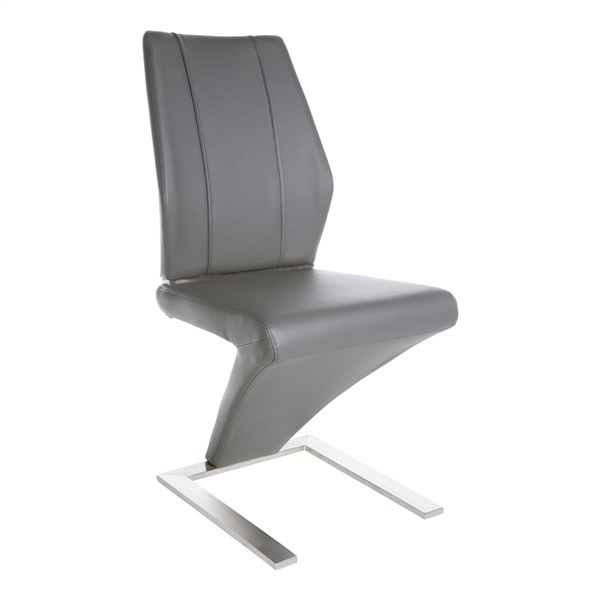 Soft leatherette over foam seat and back provide unrivaled comfort. Charming, elegant design helps the side chair complement the décor in a contemporary or traditional living space.